There were a lot of thank-you's said during the Umeå 2008 game symposium. First, HUMlab for hosting it and the department of culture and media and the faculty of arts at Umeå University for funding towards it. Then to the HUMlab staff who are really exeptional in their friendly approach to everything from PR to remembering the last practical details and making sure people find their way. But most of all the participants should thank each other. Each presentation was somehow unique, and contributed to an increase in common knowledge. Each discussion was different, and as it went on we still started to see a net of interconnections, from the first lecture to the last workshop. If I was to have wished for anything, it would be that we could have had an even broader scope, because after three days together we had all learned a lot about the usefullness of a lot more than our own approach to knowledge and understanding. Perhaps Mia Consalvo summed up the most important aspect of the symposium though, over dinner when all had gone home. "I have been writing about this stuff," she said, thoughtfully, "all alone and isolated among the faculty where I work. Then I come here and I find that this is what is being discussed. I am not crazy! I am not alone!" No, we weren't alone. Not during the lectures, not at the meals, not in the cabin with the booze and the one shower (sharing one shower with 13 other people really drives it home that you are not alone), and particularly not while chasing each other around in the lazer-tag zone. The silence as all left was overwhelming, and Umeå feels even more quiet than before, despite all the left-over bottles collected after to be stored in my kitchen cabinet. Or perhaps because of it. But you all came here and made it special. Thank you. After 10 days of culture bootcamp, activities ranging from lecturing at a University that dates back to 1506, to searching for traces of Etruscan culture while riding escalators, I am back in Umeå, getting ready for tomorrows great symposium. To the people who still make the way into the clutches of winter way up north: I really hope I manage to make it worth it! Tomorrow I am out of here! Not that Umeå is bad, I am just so delighted to be able to go south towards spring when the thaw just ended and it started snowing again here. Snow, pines and rural charms are fine, but it's about time to have a cappucino and wear something other than hiking boots. I am off to Urbino, where I'll be giving a lecture Tuesday. My friend and fellow Truant Luca Rossi has invited me to give a lecture to his students. The topic is "The story and research of digital games", and I'll give a quick little game history, talk about the development of games, give a little analysis example (nintendo DS anyone? If you have it or can borrow it, check out the old, but nice game "Project Rub".) and discuss the social and cultural uses of games. Bit topic I can talk for a few days about, I'll try to do the highlights tour. 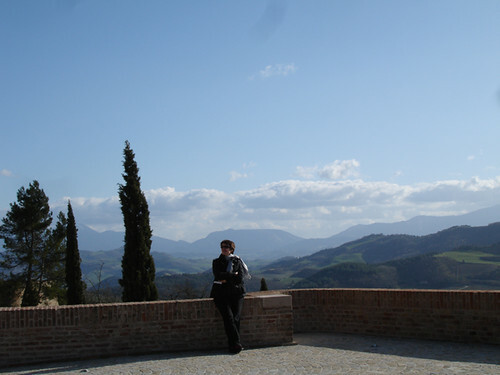 Afterwards I'll be touring Umbria, and expect to eat myself sick sometime during easter, before I return to Umeå. The return will be packed with anticipation though, as I am returning to the game symposium in Umeå! For those of you who read Norwegian, there is now a Stortingsmelding - which I don't know the word for in English, but it is a report financed by and delivered to the parliament - on computer games submitted in Norway. It was finished and published March 7th. The rest of this post concerns itself with what looks like it's my presentation of Norwegian games research. That's why I will continue in Norwegian. Siden 2000 har dataspill som forskningsfelt eksplodert. Den norske spillforskeren Torill Mortensen peker på at det i dag blir forsket på dataspill innenfor jus, filosofi, litteratur, kunst, medievitenskap, pedagogikk og psykologi – i tillegg til den teknologisk rettede forskningen. Det arrangeres konferanser med dataspill som hovedtema over hele verden, og det publiseres flere og flere bøker om temaet. Resten av denne delen av stortingsmeldingen gir et overblikk over deler av norsk spillforskning. Flere av de norske forskerne jeg nevner i mitt materiale er ikke tatt med i dette, og hadde jeg hatt noen innflytelse på innholdet hadde vekten på kulturstudier og mediestudier vært mye tyngre, og den tekniske forskningen tonet ned. Men det er interessant å se hva som blir lagt vekt på, hva som blir nevnt og hva som blir utelatt, i et slikt dokument. Dette blir tross alt et viktig arbeidsdokument for oss i framtiden. Randomly clicking through image series in the online version of the Norwegian paper Dagbladet, I found some interesting images that indicate that even fashion designers may be playing WoW. Look at those shoulders! Those have to be at least a rare drop, if not an epix. And that mask is something any undead could wear with pride. More epic fashion drops here. It sounds a little omnious, but no worries, it is just a rather interesting addition to the study of what happens online. Journal of CyberPsychology & Behaviour contains studies of what people do online, and represent a much needed forum for psychological studies of people in digital worlds. In volume 11, number 1, we find the article Gender Swapping and Socializing in Cyberspace: An Exploratory Study by Zaheer Hussain, Mark D. Griffiths, which gives us the not-so-surprisign news that 54 % of the men in MMO's play female characters, while 70% of the females play male. So the chance that the cute female bloodelf in your group is played by a girl is very, very small. For those who know me, the love-affair I have with Amazon is nothing new. I go to their website from the comfort of my own computer, they let me pick and choose from a huge selection of books that all exite me, and then I get the books home to enjoy, to keep, to have as mine. It's been true love, for years. Last week I was waiting, exited, for the next shipment. I have ordered a stack of books I really looked forwards to reading, and so I was checking the mailbox every day for the box with the familiar "amazon" print. What I found was a note, saying they had tried to deliver, but couldn't. Hmmm. OK, there was an address and a phone number to where the package was, so Saturday morning I checked online. The address is several miles away, in an area I can't get to by bus. The snow is deep here, and I am not really all that fit, so trecking through it on foot would take the better part of the morning. But, well, it was Saturday, I had the time. I called the number though, to be sure. No answer. They were closed Saturdays. There was a nice little message on the note, saying that I could call their number, and have the package delivered, at my own cost. I looked at the distance, and it would be something between 50 and 100 SEK by taxi. I really want those books, so I called to arrange for them to deliver. Now the phone number didn't go to the delivery place, so I had to make another call, which I managed, I am not that helpless... I did however get a little bothered when I heard their price for delivery. 350 SEK to deliver a little box of books, from a distance away that's about 6 minutes by car. So now I have a few options, all bad. I can walk over; I'll spend 2-3 hours on the trip and I'll make my back problems worse. I can take a taxi, and spend 100-200 SEK to get a box of books worth about 300 SEK. I can ask them to deliver it, and pay 350 SEK delivery for a box for which I have already paid for delivery. I can return a stack of books I need to Amazon. I did write Amazon about this, pointing out that this new delivery policy doesn't really work. There are several other delivery spots much closer, the post office is not that far away, sometimes I get packages at the local gas station. They had picked the absolutely worst delivery option for me with their change in delivery policies. They are refunding 8 £ from the shipping costs. It is something, but it doesn't really do it for me in the future. This may be the end of a long and loving affair. Oh, cruel Amazon, so many years, and you throw it all away for what you think is a more convenient shipping option?